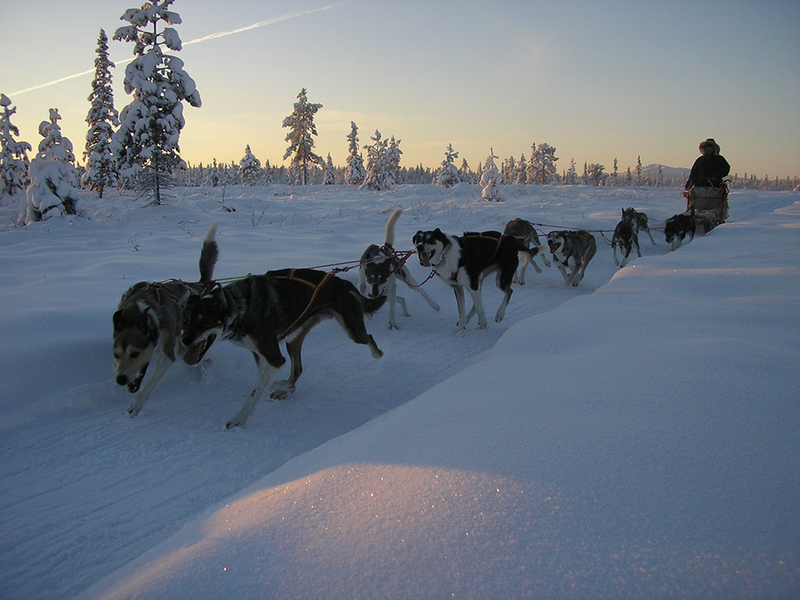 Laxforsen sleddog - Tours in a wooded landscape and over a frozen river with our happy and eager huskies. Your are sitting on a sled with our guide driving the sleddog team with 10-12 huskies. 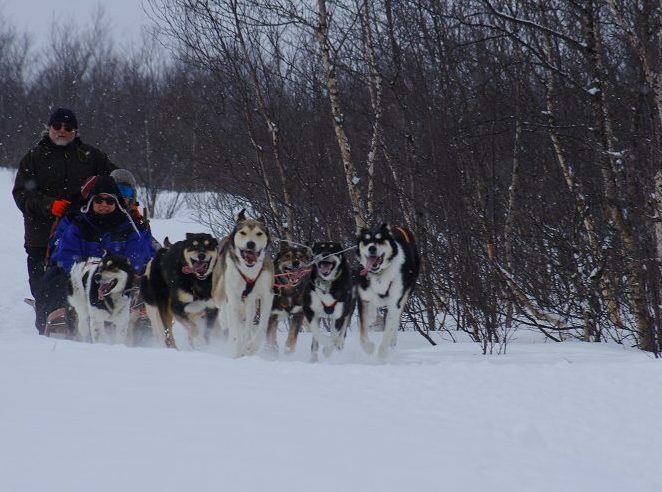 We pick you up from your hotel in Kiruna, and drive home to our kennel for taking on warm clothes, before meeting our happy and eager dogs for the tours. The tours went through a wooded landscape and over a frozen river. We stop at our tipi for coffee/tea and a cake and sitting round an open fire. You have time asking a lot about the dogs, hugging them and taking some pictures, before driving the huskies home again. After the tour we drive you back to the Hotel. A guide, transfer, changing to warm clothes and a break with coffee/tea and a cake. One day an 11 year old girl knocked on Tommys and Susannes door. Her name was Elin and she asked if she could help out with their dogs. 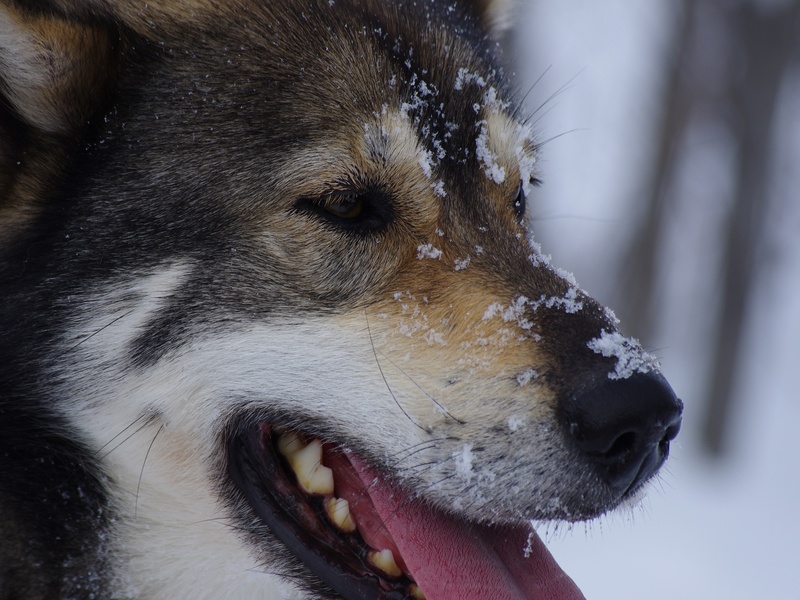 Tommy took her under his wings, and she was with him and learned about the sleddogs. She was taught everything, from picking up feces to giving the dogs food and also how to drive a dog team. In the beginning she drove after Tommy with a small dog team consisting of only two dogs. 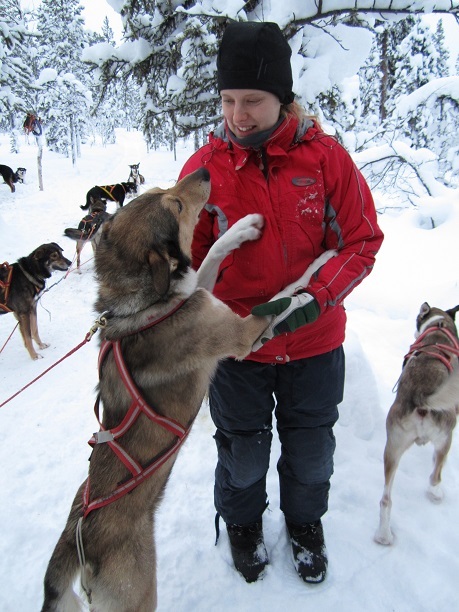 Today 8 years later she is an accomplished sleddog driver, and also a great guide. Tommy was born with, and brought up by dogs. 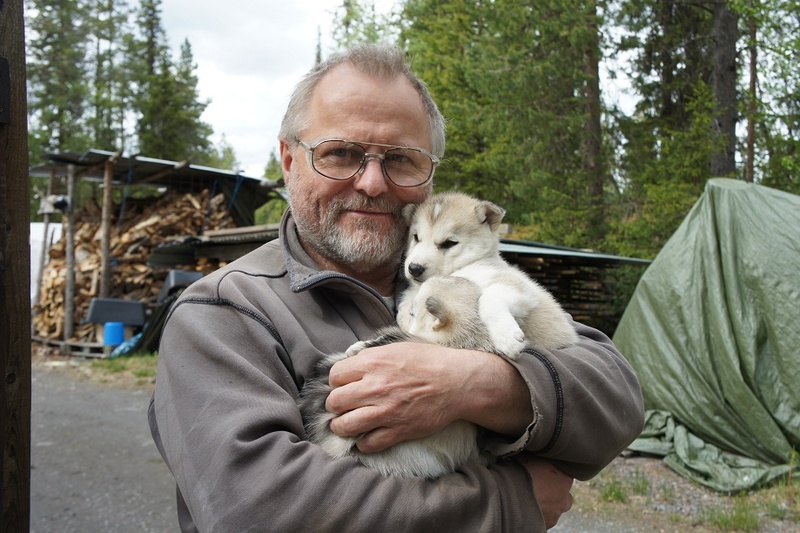 He came to Kiruna in 1978 and moved to Abisko a few years later. 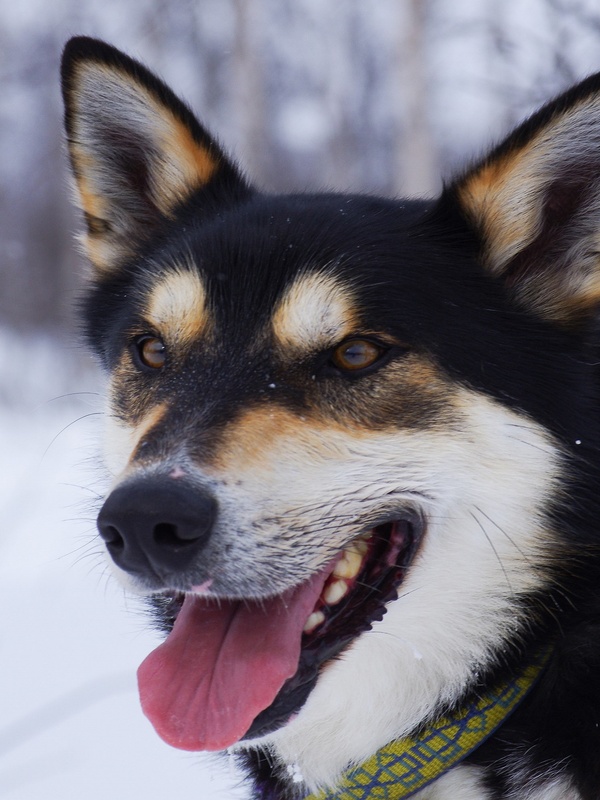 He has had sleddogs since then, first as a hobby, and then eventually he began to work with his dogs for other dog sledding companies. Since a few years he works in his and Susannes own company. Susanne grew up with dogs and is generally crazy about animals. She got her first dog in 1992 and the first Alaskan husky 1998. It was through that dog Susanne met Tommy. It is Susannes fault that the home is also inhabited by cats, chickens and ducks. 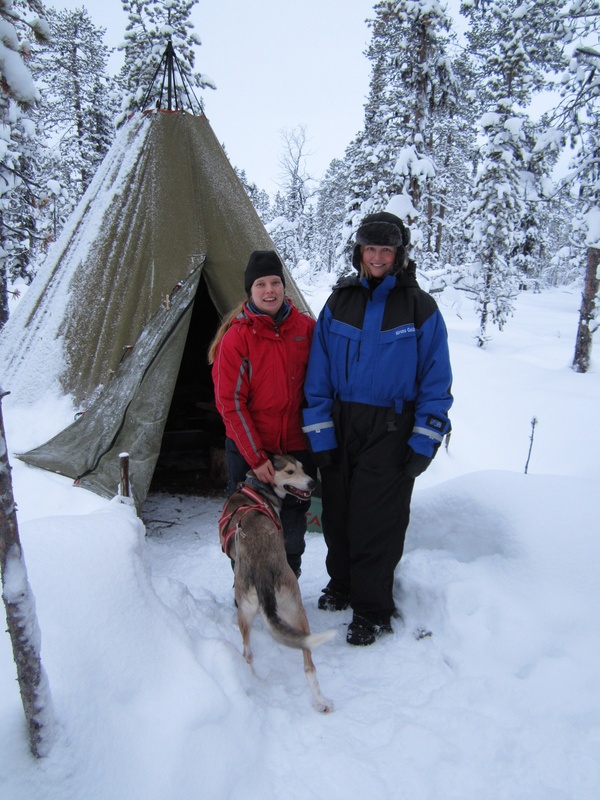 She started a dog hotel in 2006 and together with Tommy they also started their company Laxforsen Sleddog. Sleddog tours in the finest of environments in Sweden. We are a small company and kennel that is run by us, Susanne and Tommy, with the help of our loved huskies. We also have Elin helping us a with the dog training. 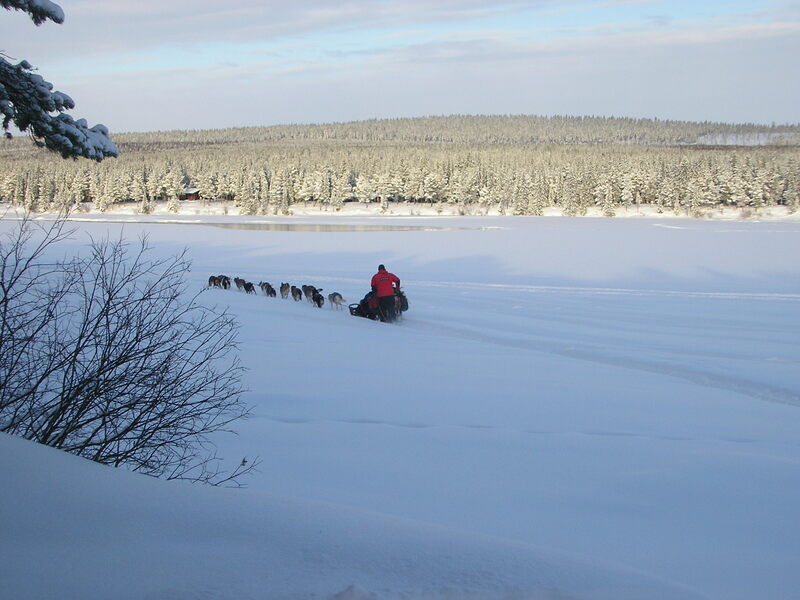 We offer familiar and personal dogsled tours in the beautiful winter landscape that is the wonderful nature of the North of Sweden. 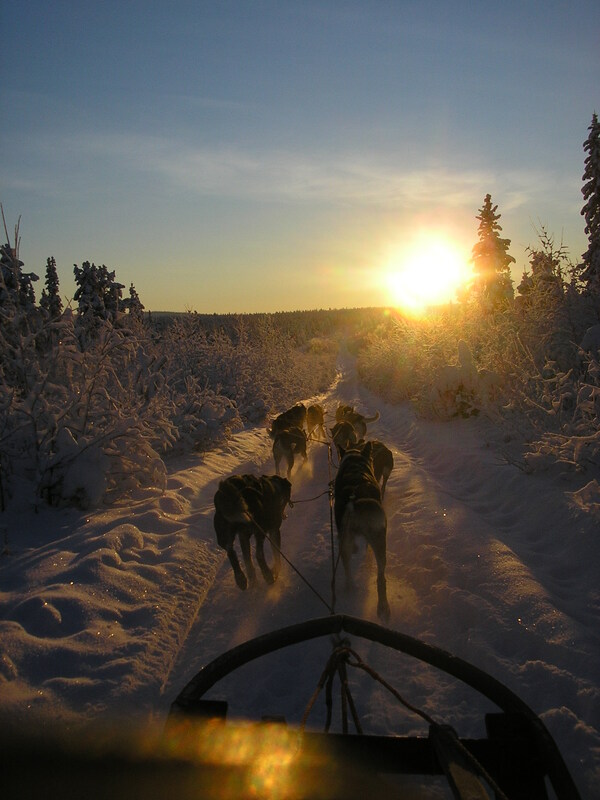 The sleddog tours starts directly from our home and goes out into the gorgeous nature with our happy Alaskan Huskies. 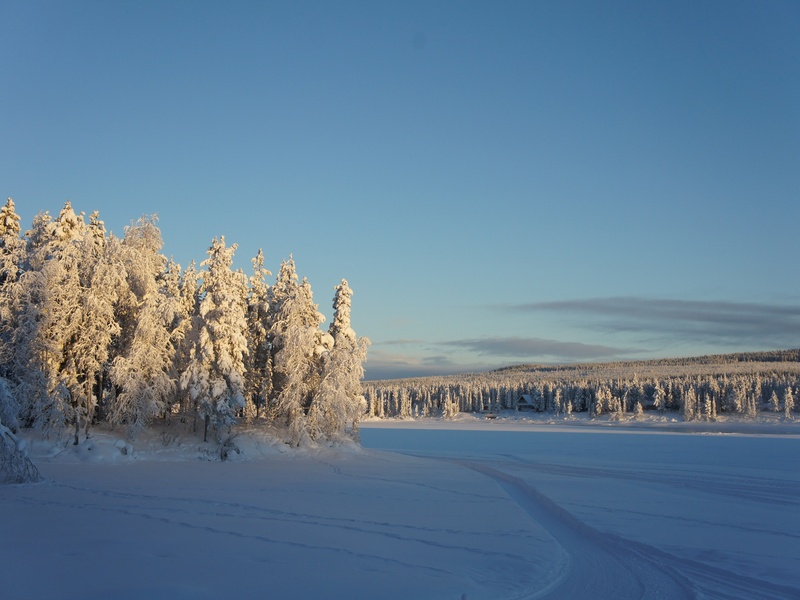 The company name “Laxforsen” is the name of the village we live in, located about 15 km outside Kiruna and 5 km from Ice Hotel in Jukkasjärvi. It means Salmon River in English.